Enhance the comfort, value and aesthetics of your living space – quickly and cost-effectively! One of the single best ways to improve the appearance and increase the value of your home is by replacing the windows + doors. Costs for replacement and impact windows are surprisingly reasonable. your replacement window + door source. Our experienced and well trained technicians will upgrade your windows and doors. LBG uses only the best in brands and products to ensure you are receiving the highest quality in replacement windows, doors and service on every job. Read on to review some of our most recent replacement jobs across South West Florida. This home now has an updated image. Street appeal is everything! LBG+M reviewed and implemented the new window system, offering a clear view. This customer will benefit from insurance discounts for storm protection. They will also have a more energy efficient home with a significant reduction in noise. 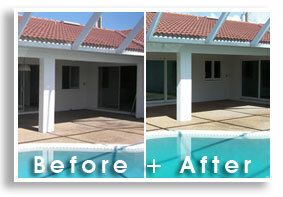 This home now, once again opens up to a wonderful pool area with new, better performing sliders. The homeowner can easily expand their living area. There is no longer a problem with sliding doors leaking water and air. LBG+M reviewed and implemented the replacement of the windows + doors. The old ones could not be repaired. The new systems add home value and provide protection from any sort of vandalism or storms. 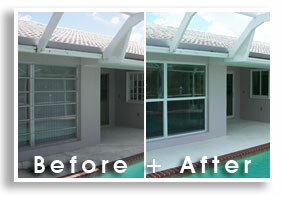 This window and sliding glass door project opened the view from the inside of the home out to the pool area. Once again increasing the living area of this Florida home. LBG+M reviewed and implemented new windows and sliders that offered energy efficiency to the home as well as positively affecting insurance discounts for storm protection. This homeowner benefits from noise reduction as well as protection from the sun’s rays. Immediate protection from hurricanes – Protecting your home has never been easier. With every impending storm, you can rest assure that your home will be secure. Protection from burglary and vandalism – The same impact-resistant glass and heavy construction that keeps flying objects from penetrating these doors and windows also provides a strong deterrent to intruders, thieves and vandals. Noise reduction – Impact windows and doors act as a significant sound barrier reducing 50% of outside noise, enhancing the peacefulness and tranquility of your home interior. Sun protection – Laminated glass used in impact windows and doors blocks 98% of harmful rays, protecting your furniture, rugs, artwork, and family. Value – The installation of insulated impact glass windows and doors maintains historic returns of 125.3% – 163%. Read more about improving your home’s value with replacement windows + doors. 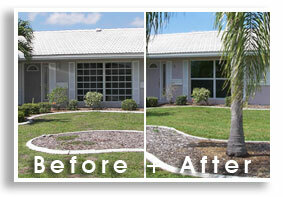 Contact Lemon Bay Glass + Mirror for more information or estimate.